We Completely Overhauled this Service, to Provide you with Higher Quality and More Powerful PBNs than Ever Before- These Links Simply Kill It! 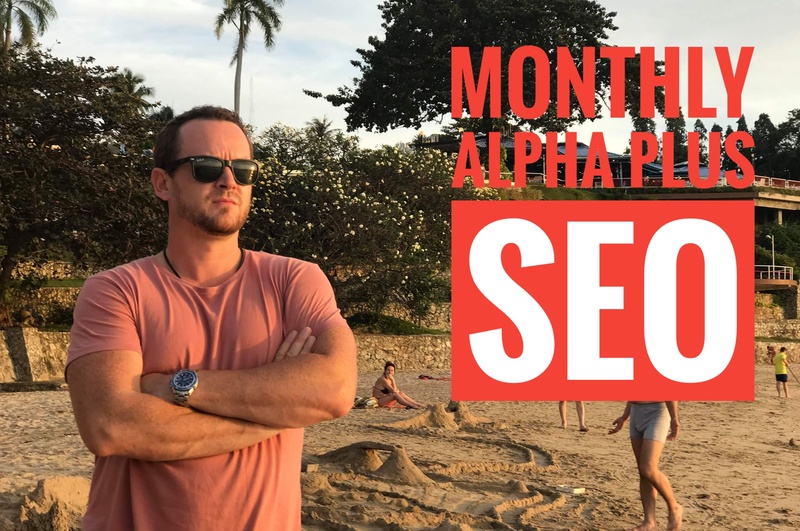 Now you're getting High Metric, Home Page Links, boosted by my aged social signals - every month! The short of it, is that the agency we teamed with simply weren't delivering on their promise and we got complaints. Quality dropped, and it seems they were sharing our "exclusive access" with other sellers here on seocheckout! Ouch! It was a poor situation for everyone, but we listened! NOTICE: The amount of pending and "late" orders will have no effect on the delivery of your campaign when you order today. This was due to a huge influx of orders and big network upgrade -all clients have been notified. Place your order with confidence. These are high quality home page PBN links. We keep the OBL very low, and boost all your pbn links with high-authority social signals. I'm going to keep this network as clean as possible. When it looks "unnatural" (as in too many outbound links), I'll close it until we build out more PBNs. Your links will stay on these sites PERMANENTLY. You aren't going to rank for "gold" by this time tomorrow, but for medium competition keywords, this service will give you great results. So What Are The Domain Metrics? This is a huge network, so listing everything would be silly. However, here’s a snippet of the metrics I pulled up on some of the domains. How Much Is This Worth to Your Business? A couple of years back, I use to pay 495USD every month, for access to a PBN network of about 20 sites. Admittedly, I had full access and could do what I wanted with them, anything but “sell or rent links to other people”. Which made it “expensive” unless I did something with it. Which I did. I used the network, to get my health niche site on page 1, and within 24 hours, I made my first affiliate sale from a network called Maxalife. I got paid $13. From that day onwards, I made a few sales a day, and was profiting just under $250 a day with 1 website and probably 15 minutes management time per month. It was very easy money. Now this network that I’ve gained access to for Seocheckout members, comprises of thousands of websites that can rank high ticket products. If you get paid $25 commission per sale (assuming your doing affiliate marketing), you only need to make 4 sales to be in profit. 1 sale a day, over 4 days and you’re profiting for the other 26/27 days of the month. That would be a $560 passive income, every single month. Now multiply that by 10 sites, or even 20 and more, and we're talking some serious revenue. All for RISK FREE cost of less than you're average coffee per day! Would you risk a coffee, for chance to earn thousands per month, on complete auto-pilot? So, assuming you hit page 1 with 3 websites, each making $25 per day, you’ll be profiting $1080. I think you’ll see how much potential there is here. That’s a 1863.64% ROI. Now I’m not guaranteeing that’s going to always be your ROI, but if you’re promoting the right products and keywords, then it’s really not that hard! If you get just 1 website ranking, and promote even a low-ticket product, you’ll make your investment back many times over. and if you don’t, I’ll honour my refund guarantee and give you your money back anyway! Oh, and did I mention that this is one-time fee? That’s right, no rental here. Just pay once, or every time you want to boost your pages to Google’s money page. Simply hit order, give me 1 URL and up to 5 keywords, and that’s it! I’ll take care of the rest. If this service does not work for you (it will), just get in touch and I'll give you ALL your investment back. Not just 50, 60%....100%! 1. If you order today, I will track your keywords on my premium rank tracker, for any country around the world. Just make sure you request this upon ordering. If you order right now, you are protected by my 100% money back promise from me to you, you get all the bonuses above. Thank you for reading and see you on the inside. P.S. This is a monthly subscription service, that can be canceled, or amended at ANY TIME. PBN Overhaul Monthly! Check out our updates inside is ranked 5 out of 5. Based on 11 user reviews.